When it’s snowing and cold outside, you don’t always want to be outside. Therefore, our beloved company of Barbie's best friends, Merida and Elsa decided to return home and spend this evening at home in a warm atmosphere and pleasant company. On the way home, they decided to play dress up game in various fashion styles. 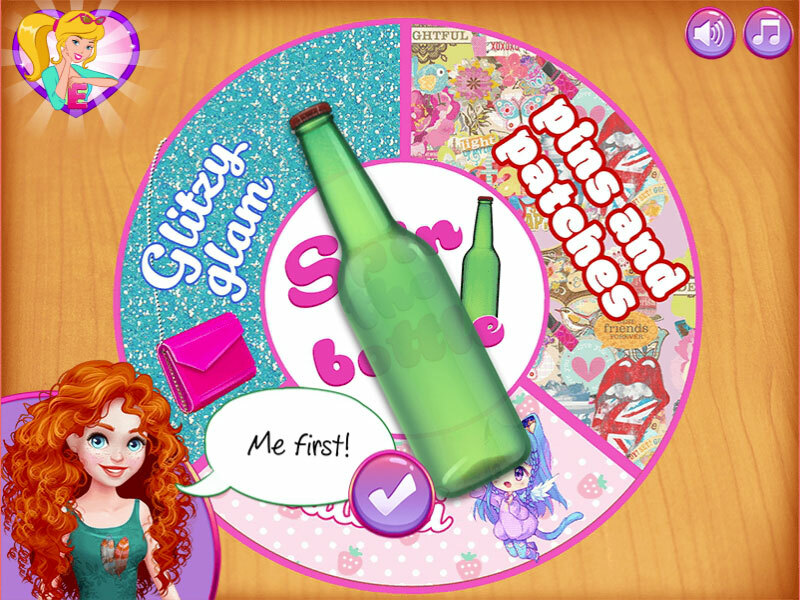 In this dress up game, they will rotate the bottle and thus determine what style they need to dress up. Join them and offer the girls their own version of fashionable clothes in a certain style. As the outfits are chosen, the party will continue watching fun movies and eating popcorn. I think it will be fun and cool! Played: 1413. Added: 20-03-2019, 09:42. 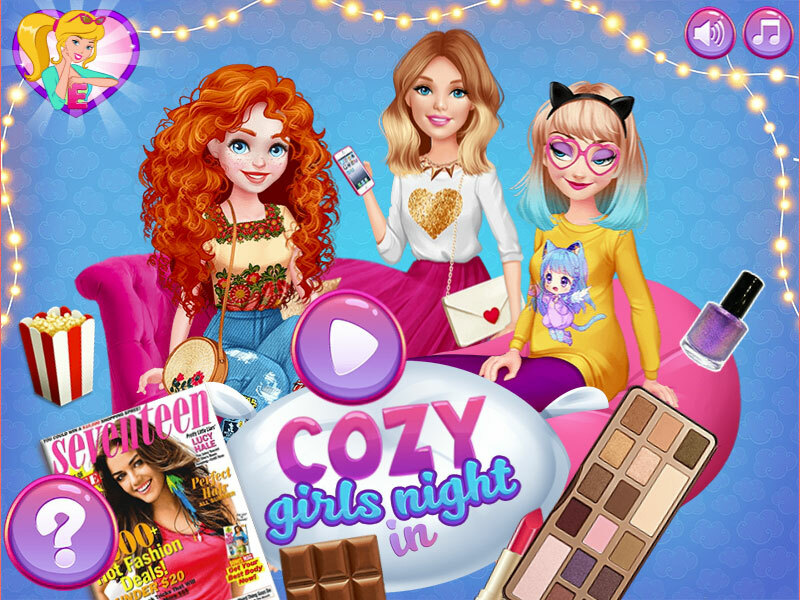 Cozy Girls Night In dress up game.